I scrapped the idea of a gear pattern on the corset & think I may just stick to doing something more busy and elaborate like that on the pants and keep it more simple (ish) on top. I'm pretty pleased, the costume is shaping up to be really fun and I can't wait until I can get more of it done!! 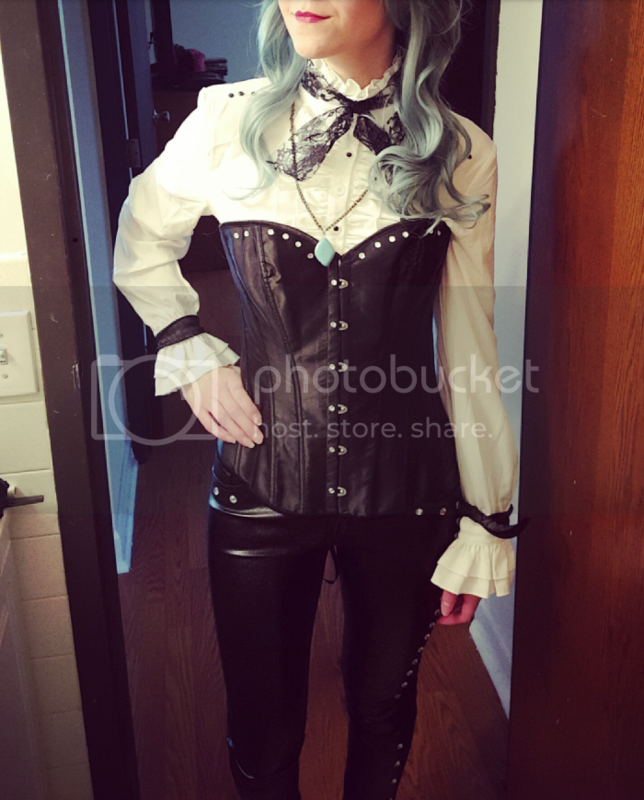 Picture below of the progress that's been made + the wig that came in today. For reference again, the character I'm portraying. I'm doing a post-apocolyptic/steampunk version of her. Wow you really got the outfit to look like the artwork! Nice job. Want to See How Many Pokemon I Can Name?